Most businesses take cards nowadays, but you still see the odd signage in windows: “Cash Only”. The reason for many is the belief it is too expensive to accept cards. With cash in hand, you don’t pay expensive card fees, so surely, is it not more profitable to stick to cash? It is now easier than ever to take cards, and intense competition between payment companies mean charges and contracts have bowed to the pressure of small businesses aversive to corporate, quicksandy contracts. You are losing footfall by sticking to outdated ideas about what is (and isn’t) available to you. The British Retail Consortium estimated that in 2016, the average retail cash transaction cost 0.15% of turnover, compared with 0.31% across all payment types. The story is, however, more complicated than what they calculated. As you shall see, refusing to take cards will have a significant effect on earnings. Cash is no longer king in the UK since debit card payments overtook cash in 2018. However, cash still remains the second largest payment method and as many as 2.7 million people in the UK rely almost entirely on cash for everyday transactions, so it would be problematic to refuse cash payments in some cases. 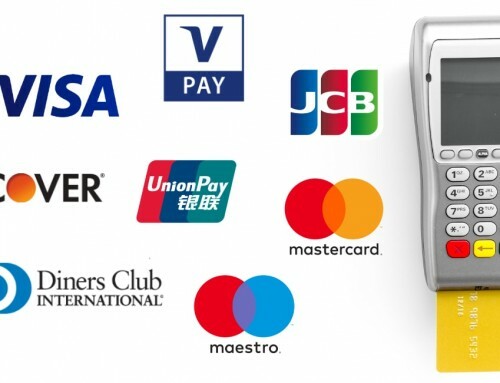 A big factor behind the surge of card payments is the contactless trend. Consumers habitually tap to pay, as it is quicker and more secure (no PINs are entered in plain sight). More and more bars, small businesses and public transport networks have even opted for card-only payments, simply because there is less hassle involved. Street musicians, charities and homeless people have all noticed the tendency for more and more people excusing “sorry, I don’t have cash”. So much so that more are resorting to mobile card readers for contactless donations. All of these factors contribute to the downwards trend of cash transactions. That said, the number of banknotes in circulation has remained comparable to previous levels, even increased. 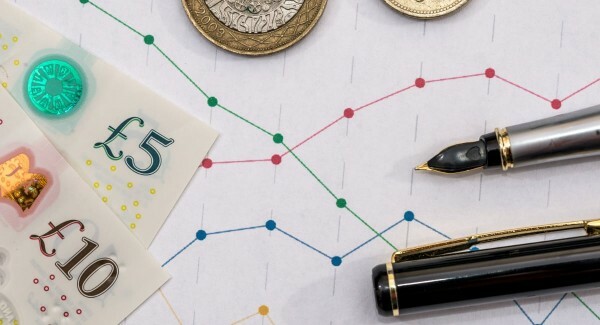 A lot of factors, such as the economy and political climate, can affect this, but it seems clear that people are continuing to rely on cash in certain situations, so not something we should ignore completely. As businesses are hopping on the card payment bandwagon, it reinforces the expectation by customers that all businesses now accept cards. Whether you do or not, your choice makes an impression on those who want to pay the way they prefer. Today’s consumers are less tolerant to lack of payment options, so a “sorry, no cards” from a shop is likely to end that customer relationship faster than you can open the cash drawer. Especially millennials, who are more likely to use mobile payments, are less inclined to carry cash around. In addition, people feel less worry when using their debit or credit cards than when paying with cash that somehow feels more real than the virtual payment through an effortless tap with a card. This, in turn, means people spend higher amounts by card than by cash. If you accept both options, comparing the average transaction value of each tender will usually reflect this difference. Robberies do not apply to all businesses equally, but everyone with valuable goods or money on the premises can lose it to break-ins, internal theft and violent robberies risking the security of staff. According to British Retail Consortium, severe violent incidents causing injuries to shop employees have doubled in 2017 compared to the year before. The large retailers in the survey spent £29m per company on non-cyber crime compared to the previous year’s £6.7m, for instance on CCTV, insurance, alarms and other security equipment. The overall trend points to the necessity of investing in theft prevention measures to ensure the safety of staff and protect what cash you have. According to Roubini ThoughtLab’s Cashless Cities report, thefts and robberies decrease with the rise of digital payments. In other words, you are mitigating losses and potentially protecting your staff by using a system that’s not conducive to theft on your physical premises. 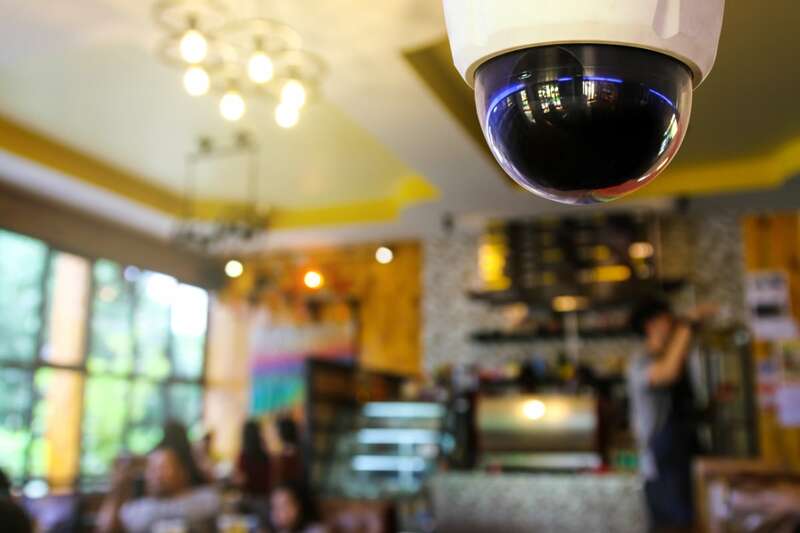 Security equipment, such as CCTV cameras, is an additional cost to any business protecting their money, inventory and premises. That being said, internal theft is one of the biggest causes of cash register theft. There are different ways to manipulate the till system so others don’t suspect foul play – for example, by processing fake refunds and pocketing the “refunded” cash. You don’t have this problem with card takings face to face. Cost of security = Cost of alarms, CCTV, shopfront protection, post-incident support/police reports, etc. In order to accept cash, you must have the appropriate amount of coins and notes in the cash drawer so you can give back the correct change to anyone who doesn’t have the exact amount. Handling this is a hidden cost that’s harder to analyse, since often, you multitask during transactions. But in very busy bars or shops, the time spent exchanging notes and coins could hamper your ability to accept more transactions through contactless taps. Small shops and market stalls often suffer from lack of change at the beginning of a day before they receive enough to fill the till drawer. This means either making a compromise with the customer or having to pop outside to a neighbouring business to ask if they can spare some change for a note. In the latter case, leaving the store can mean closing it temporarily or leaving it understaffed until you return. This, in itself, can have consequences for your daily earnings and security. Then you have tricksters. Some people try to confuse you into giving too much money back. The deceiver may hand you a banknote, then change their mind and tell you to give back specific change (that adds up as being too much), go back and forth this way, or even ask for change after you’ve shut the till drawer. These people are usually skilled and make a scene to give the impression they are innocent, so competence at the till point is important to avoid losing money in this situation. The new £5 and £10 polymer banknotes are hard to forge, but 0.02% of banknotes in circulation are still counterfeits of, mainly, the paper £20 and £50 notes. Accepting just one fake £20 note is enough for many small shops to put a dent in the earnings of that day. Card transactions do not have this problem. Either the payment goes through, or it doesn’t (in which case, you’ll know immediately). There is of course the risk of a chargeback, which is when a customer or cardholder’s bank disputes the payment. These cases often incur a chargeback fee and the withholding of transaction money until the case is resolved. Chargebacks shouldn’t happen unless there is a genuine problem to address with the payment, product or service, so not as random as being tricked with a forged banknote. The amount of time spent cashing up and dealing with discrepancies matters. How long do you spend counting cash every day? This is time typically paid for in wages or lost if you, yourself, are doing it for free. This is a real cost often ignored in analyses of taking cash versus cards, clouding conclusions of which is cheapest to deal with. 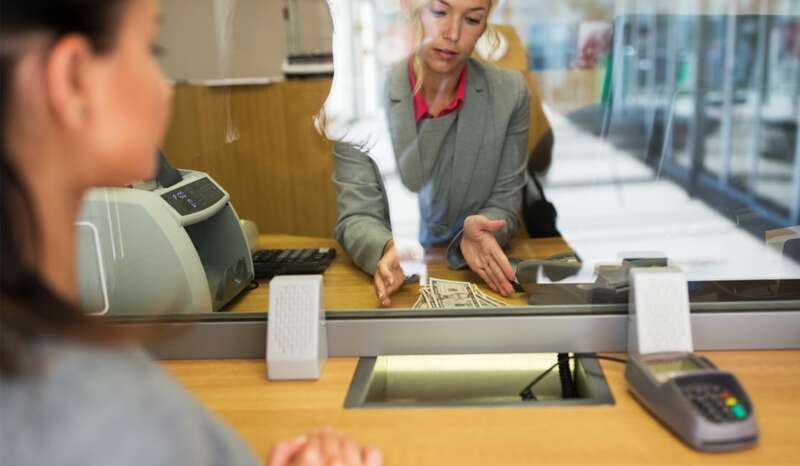 Typically, cash takings are deposited once or several times a week, where a staff member leaves the premises to go to the local bank branch or Post Office. Banks charge varying fees for cash deposits, usually fixed, in contrast to card payments most commonly charged as a transaction percentage. How that compares depends on your particular takings, cash deposit charges and card fees. How much time do you spend cashing up and going to the bank every week? That time could’ve been spent on sales. Since banks have seen cash use diminishing, it has become more expensive to run cash machines and deposit drop-offs, causing the deposit charges to rise and cash points to close down in ever-growing numbers – including in rural areas where it has real consequences to remove the only existing ATM for locals. It is not “free” to take cash with this in the equation, but if you’re running a cash business where you avoid putting takings into an account, you at least avoid those bank charges. That being said, it is still a requirement by HMRC that transactions are recorded in a way that enables them to check your turnover. With today’s cloud-based EPOS systems, registering each payment in the system as they happen is one way of doing it. You can also use a sales notebook if it’s manageable to write every transaction down. Whichever way, your bookkeeping system will dictate how much time is spent dealing with cash payments. As regards to counting the till float every day – this is time you can’t avoid. Abandon cash entirely, or just start accepting cards? While downsides exist to cash transactions, it is one-sided to claim we should scrap cash altogether. For instance, areas of poor network connectivity are better served by cash payments than a card machine that depends on fluctuating 3G. If you tend to serve customers who do not use a payment card, it’s a no-brainer to take cash too. Some places in the country no longer have a local bank branch for cash deposits, so the local cash-taking businesses may be forced to only take cards. Some areas have seen increased levels of shop crimes, and those businesses benefit especially from removing cash on premises. Certain businesses, like restaurants in cities, rarely have customers relying on cash, so it makes sense to focus on just cards for all the benefits involved. If your business takes cash routinely, and it’s worth it even after considering the above factors, the upwards trend of card use still means you are losing out on card revenue by refusing cards. It is no longer difficult or expensive to take cards, so the simplest thing you can do for the profit margins is start saying “yes, we accept cards”. 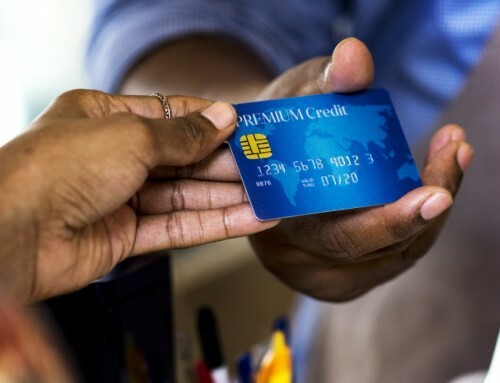 Related: Should you set a minimum amount for card payments? 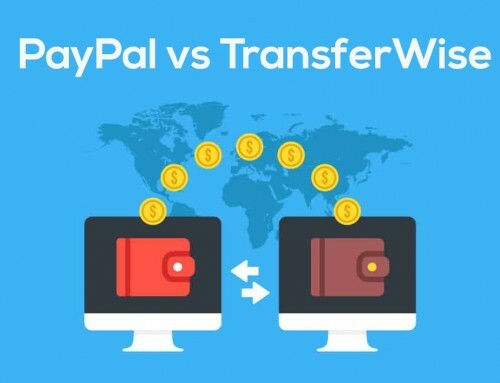 PayPal vs. TransferWise: what’s the cheapest service for foreign transfers? What is a merchant account? Do I need one for my business?